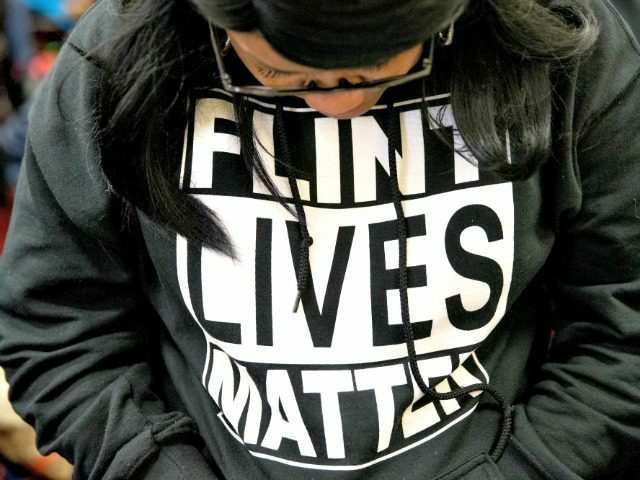 NEW YORK CITY, New York—Donald Trump, the Republican nominee for president, is upstaging Democratic presidential nominee Hillary Rodham Clinton yet again on Wednesday, this time with a visit to Flint, Michigan, to tour the city’s infamous water facilities in crisis. Republican presidential candidate Donald Trump is planning a trip to Flint on Wednesday that includes a visit to the treatment plant at the center of the city’s water crisis. The Trump campaign has not announced any official plans for his tour of Flint, but he’s expected to use the visit as part of his ongoing effort to appeal to African-American voters in Michigan’s second largest minority-majority city. The trip was confirmed by a campaign aide. A Flint official confirmed that Trump will tour the Flint Water Treatment Plant, where the city’s water troubles began between April 2014 and October 2015 when Flint River water wasn’t treated with corrosion-controlling chemicals. The river’s corrosive water is blamed for causing lead to leach into the city’s drinking water supply. Flint Mayor Karen Weaver’s spokeswoman Kristin Moore told the Detroit News that the Trump tour comes at the request of the Trump campaign. “They requested a tour, and we’re working to fulfill that,” Moore said. Weaver, who will not be there but will be in Washington, D.C., at a press conference on the Flint water crisis instead, has endorsed Clinton for president. While Trump is on the ground in Michigan working to solve the problem and develop policy solutions for the Flint water crisis, many Michigander Democrats will join Weaver and other Clinton backers in Washington, D.C.
Trump’s trip to Flint is just the latest in a long line of actions he has taken in recent weeks to show he is more presidential than Clinton. While Trump has been delivering a series of key policy speeches, touring Louisiana’s flood damage, visiting with the president of Mexico, and speaking before an African American church in inner city Detroit, Clinton has held barely any public events. At those she has held, she has resorted to foul, nasty, and negative attacks—often racially focused—against Trump. The back-and-forth has set up a contrast between the two candidates, with Trump as the problem solver with well thought out and forward looking, policy oriented plans, and Clinton as race-baiting attack dog inspired by negativity. In other words, Trump has become the candidate of hope and change—as Breitbart News has detailed—while Clinton is the candidate of the status quo and pessimism. Michigan has, due to Hillary Clinton’s weakness on the campaign trail, turned into a battleground state in 2016. Clinton, according to the Real Clear Politics polling average, has a 6-point average lead over Trump in a four-way race when Libertarian Gary Johnson and Green Party candidate Jill Stein are included. Clinton’s once comfortable lead in the state has been steadily shrinking as Trump gains momentum in inner cities like Detroit, and in white working class areas as well. Clinton was expected to, during the Democratic primaries, easily win Michigan–but Sen. Bernie Sanders of Vermont shocked the entire political world with an upset over Clinton just a few months ago.